I have a chance to pick this up at a Brother in law discount but im not sure the value. I think it's a Fisher but I haven't weighed it but it's heavy. Last edited by mwhuston; 09-03-2018 at 10:13 PM. It looks to be in good shape. I have never seen an anvil with hold downs forged into the base. 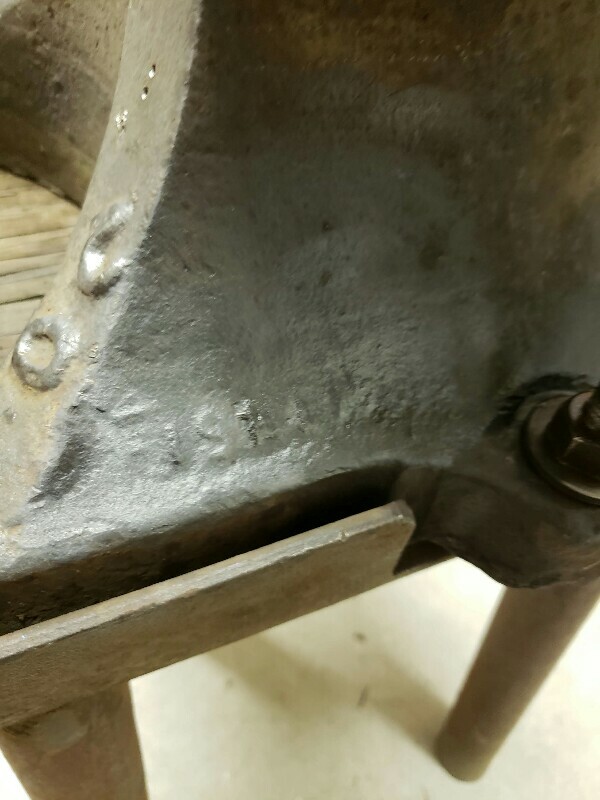 It is a wrought anvil because you can see where the steel plate is forge welded on. Is the "20" the only marking? Unusually on old anvils there are 3 numbers on one side like 1 2 3. That is a 100 weight marking but does not designate 100 pounds, it is 112 pounds. So the first number is the hundred weight number. In this example 112 pounds. The second number is quarter hundred weights so a quarter hundred weight is 28 pounds. In this example 2 times 28 is 56. The last number is actually pounds so in this example 3 pounds. Now add them all up and you get the weight of 112 + 56 +3 = 171, the weight of the anvil. If there are numbers close together not separated by a space it is probably an American forged anvil and the number is the actual weight. 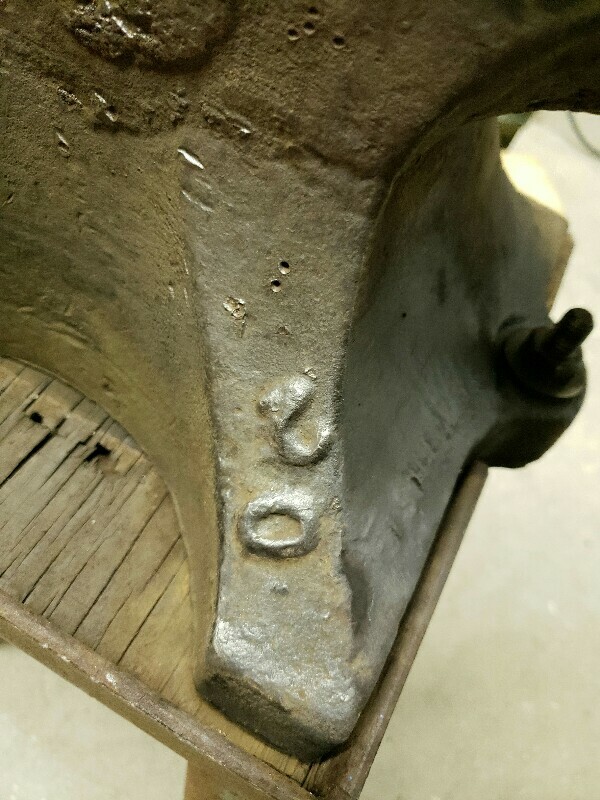 If there are no numbers on the side it is also probably an American forged anvil. I would modify the stand to make it a 3 legged stand with the third leg under the horn and angle them all out about 17 degrees. A 3 legged stand is always stable, like a milking stool. 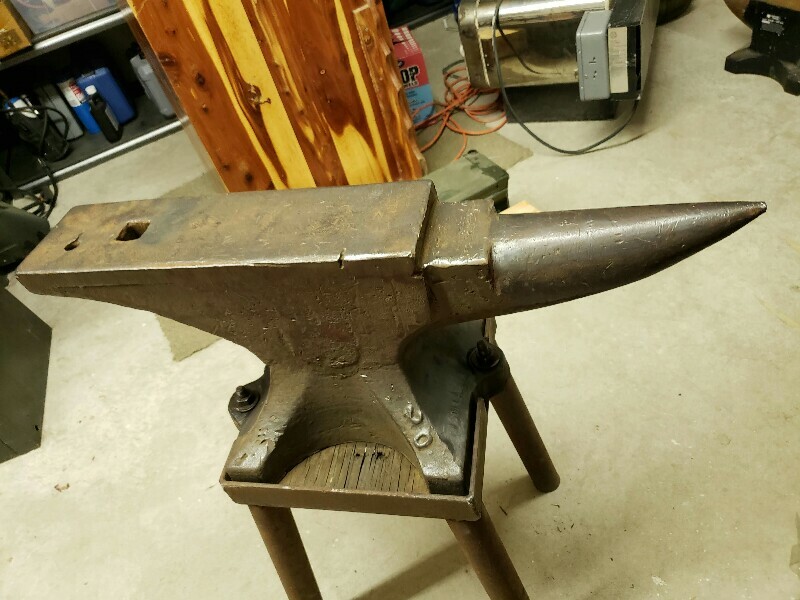 I would value this anvil between $3.00 and $5.00 per pound. If it has no weight markings you can probably put it on a bathroom scale. Here is the only info I've found online that made me think it is a fisher. If you look about middle of the page there is an anvil that looks very much like this one. Here is the reply from the Fisher Norris Factory Museum FB page. Yup, the tie down lugs look the same. No disrespect Wyne, but most of my readings/research have indicated that Fishers were cast iron based not wrought iron. However, that did not detract from their quality as an anvil. They were/are very popular old school anvils. That one looks to be in very good shape and should serve you well. Most of the later models had the full weight cast in place across the foot or base of the anvil where the "19*" # is. This must be an older model. If it's got decent rebound you're good to go. Great alround size for most work. There is a large very detailed book on older anvils (can't recall the title). It had very extensive sections on Fishers and Haye Buddens - history and fabrication. Great read. Last edited by Crex; 09-06-2018 at 06:50 AM.